Acronis is a global leader in hybridcloud data protection and storage. Founded in Singapore in 2003, the company now operates from local offices in 18 different countries, including the International Headquarters in Singapore and Corporate Headquarters inSwitzerland. Acronis sets the standard with its backup, disaster recovery, and secure file sync and share solutions. Cloudian HyperStore is a fully S3 API compliant, multi-tenant, multi-datacenter cloud storage platform. Cloud Service Providers can use HyperStore to deploy public clouds and managed private clouds. Enterprises can use HyperStore to deploy private and hybrid clouds. HyperStore storage is secure, easy to install, infinitely scalable, extremely reliable, and backed by a proven, carrier-grade support team. Cohesity delivers the industry’s first hyperconverged secondary storage system for consolidating backup, test/dev, file services, and analytic datasets, onto an infinitely scalable, intelligent data platform. With Cohesity, IT organizations achieve far greater operational efficiency and agility in managing their data assets on-premise and in the cloud. Cohesity counts many of the Fortune 2000 among its growing base of enterprise customers. CTERA was founded by IT security veterans, who in 2008 identified the transformation that cloud computing would bring to enterprise IT, and the challenges this transformation presented for infrastructure management, data governance, privacy and security. In a world where data follows the user as it flows between clouds, offices and endpoints the focus was on building a private cloud storage as a service platform that could centrally manage how security and governance follows the data wherever it flows. Dalet solutions enable broadcasters and media professionals to create, manage, and distribute content to media channels, including interactive TV, Web, and mobile networks. Dalet Asset Management platform enables end-to-end management of the entire news, sport, and program content chain, and allows users to significantly improve efficiency and to maximize the use and value of their assets. It provides a full set of task-specific tools for ingest, QC, pre-assembly, language/caption enrichment, and content repurposing. Dell EMC serves a key role in providingthe essential infrastructure for organizations to build their digital future, transform IT and protect their most important asset, information. Dell EMC enables our enterprise customers’ IT and digital business transformation through trusted hybrid cloud and big-data solutions, built upon a modern data center infrastructure that incorporates industry-leading convergedinfrastructure, servers, storage, and cybersecurity technologies. 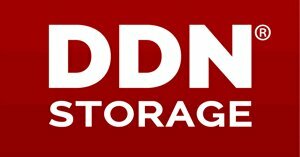 Digistore Solutions Holdings Pte Ltd (DSSH) was first incorporated in Singapore in the year 2009, with a key focus on providing enterprise customers with cost-effective long-term data retention through the use of optical disk storage technology. Our next-gen archival solution is designed and built by DSSH together with local Singapore scientists and stakeholders, to specifically cater to the demands of archival infrastructure today. For more than 20 years and with more than 22,000 systems installed world wide, DISC Archiving Systems is recognized as a global leader in optical data storage. With headquarters in the Netherlands, DISC Archiving Systems is a drive independent library manufacturer, developing optical mass storage systems with capacities up to 35 TB at their production facility in Bingen, Germany. eMAM is a powerful media asset management platform designed to organize, tag, search, collaborate, approve, distribute and archive digital content. eMAM systems range from small workgroups to large enterprise installations, on premise or in the cloud, managing complex workflows from any web browser or tablet. Western Digital Corporation is an industry-leading provider of storage technologies and solutions that enable people to create, leverage, experience and preserve data. The company addresses ever-changing market needs by providing a full portfolio of compelling, high-quality storage solutions with customer-focused innovation, high efficiency, flexibility and speed. Hitachi Data Systems Corporation provides Services Oriented Storage Solutions that enable heterogeneous storage to be dynamically provisioned according to business needs and centrally managed via industry-leading Hitachi storage virtualization software. The Technology Services & CloudPlatforms segment provides information technology (IT) infrastructure services. It delivers a portfolio of cloud, project-based, outsourcing and other managed services focused on clients’ enterprise IT infrastructure environments. The portfolio includes a set of hybrid cloud services and solutions to assist clients in building and running enterprise IT environments that utilize public and private clouds and traditional IT. Marquis’ shared storage management software PROJECT PARKING offers broadcasters an intuitive toolset to manage the efficiency of their shared storage. In one single application Project Parking provides the means to analyze and manage media to optimize shared storage utilization. Media-Alliance is worldwide leader in software development to empower broadcasters to produce and manage digital media with multi-platform and multi-format, file-based workflow. The Media-Alliance product line exploits the full potentialities of BORNEO (HTML-5 based MAM) as the central system steering all television production tasks as well as digitalization, media management and preservation for archiving, news, sport and programme departments. Founded in 1998, Milestone Systems is a world-leading provider of open platform IP video management software (VMS) with headquarters in Copenhagen, Denmark and since 2014 is a stand-alone company within the Canon Group. Their key objective is to improve organizational processes and increase overall security through the management and distribution of digital video data. Milestone XProtect VMS is powerful, reliable, easy to use and proven in more than 100,000 installations worldwide. NEC provides IT solutions in manufacturing, retail and services, and finance in the private sector, helping customers to launch new services. We resolve social issues and create value for customers through value chain innovation utilizing ICT assets like IoT and AI. NEC provides products for business, ranging from terminals to network and computer equipment, software products and service platforms, as well as integrated platforms based on them. We deliver labor-saving and efficient platforms for customers, while at the same time creating new value such as IoT platforms based on ICT as we contribute to the expansion of solutions for society. NetApp provides software, systems andservices to manage and store customer data. The Company enables enterprises, service providers, governmental organizations, and partners to envision, deploy and evolve their information technology (IT) environments. At Nexsan, we have been known for over 15 years for delivering the most reliable, cost-effective, and highly efficient storage. Whether customers require cost-effective block storage for backup, databases or exchange, scalable and highly-flexible NAS, a global private-cloud sharing infrastructure, or secure archiving, they trust Nexsan for reliability, cost-effective quality, and a solution purpose-built for the job. Oracle provides products and services that address all aspects of corporate information technology (IT) environments, including application, platform and infrastructure. The Company’s businesses include cloud and on-premise software, hardware and services. Overland Storage is a trusted global provider of effortless data management and data protection solutions across the data lifecycle. By providing an integrated range of technologies and services for primary, near line, offline, archival and cloud data storage. Panasonic, a leader and innovator of the Blu-ray Disc format for consumer and professional use, provides robust optical storage solutions for the archiving of critical data. Offering the advantages of lower TCO, portability, media longevity, reliability and write-once compliance, Panasonic’s Blu-ray standard-based solutions ensure broad device compatibility. Qualstar manufactures automated tape libraries and power supplies. Its products are known throughout the world for energy efficiency and rugged, Simply Reliable designs yielding years of trouble-free operation. Qualstar tape libraries are sold, installed and supported worldwide to backup, archive and protect data from incidental and catastrophic loss. Quantum Corporation is the leading global storage company specializing in backup, recovery and archive. Combining focused expertise, customer-driven innovation, and platform independence, Quantum provides a comprehensive, integrated range of disk, tape, and software solutions supported by a world-class sales and service organization. Quotium StorSentry is a suite of software products that provides large archive and backup users the ability to: 1) Assess the risk of losing their data on tape automation systems, 2) Verify the archive and backup storage system, 3) Automatically repair defective or poor quality tape media. With this unique set of features, StorSentry addresses the users needs to preserve their content / data in good health. Rubrik delivers instant application availability to hybrid cloud enterprises for recovery, search, cloud, and development. By using the market-leading Cloud Data Management platform to provide instant access with self-service, customers mobilize applications, automate protection policies, recover from ransomware, search and analyze application data at scale on one platform. From days to seconds. Rubrik was named in Gartner’s Cool Vendors in Storage Technologies 2016. Scale Logic, Inc. is a value added global solutions company focused on storage and networking infrastructures. We bring value to our partners by building a suite of products and services to help scale their business effectively and efficiently. The Scality RING is software-based storage that has been proven worldwide. The RING is perfect for capacity-driven workloads such as cloud services, video, and enterprise archiving. It runs on any standard x86 servers powered by Linux, and creates an unlimited storage pool for file, object and OpenStack applications. Modern content creation workflows require new ways to integrate and orchestrate digital platforms in ways that bring various production tools together and make them interoperable and streamlined. Sony Media Backbone Enterprise Management System provides for such workflow orchestration and interoperability among various media services. Sony Sonaps provides leading edge solution for the news production environment. Spectra Logic designs and manufactures simple, reliable and scalable storage solutions to store, backup, archive and protect data. Our people, processes and technologies deliver a future-proof architecture to address the problems of data growth, costs, security, storage efficiency, tiering and reliability. SwiftStack enables you to do more with storage. Store more data, enable more applications and serve more users. We do this by delivering a purpose-built object storage solution, based on an open-source core, and making it fully enterprise ready. Our object storage system is an alternative to complex, expensive, hardware-based storage solutions. Tandberg Data is a leading global supplier of data protection solutions for small and medium-sized businesses. The company’s wide range of cost-effective storage products and services provides customers with best-in-class tape, disk, removable disk and software solutions for backup, archiving and disaster recovery. Since 1988, VITEC has been a leading provider of powerful digital video products that support end-to-end media solutions for Broadcast, Corporate, Education, Government, Industrial, Medical, Military, and Telco customers. VSN is a global technology company specialized in providing advanced solutions for the broadcast and media sector. It offers solutions based on standard IT infrastructure solving the needs of creation, distribution and management of audiovisual content in TV channels, public institutions, IPTV, universities, content distributors and news agencies. As the leader in global bandwidth infrastructure services, Zayo combines a best of breed Petabyte-Scalable Object Based Storage platform with an International 100G private fiber backbone and the one of the top three peered IP networks globally. With interconnects into all major public cloud platforms like AWS, Azure, Softlayer and Google. Zerto helps customers accelerate IT transformation by eliminating the risk and complexity of modernization and cloud adoption. By replacing multiple legacy solutions with a single IT Resilience Platform, Zerto is changing the way disaster recovery, data protection and cloud are managed. With enterprise scale, Zerto’s software platform delivers continuous availability for an always-on customer experience while simplifying workload mobility to protect, recover and move applications freely across hybrid and multi-clouds.